Sweep the lighter shade from the start of your brow to your arch with the blending sponge. Sweep the deeper shade from your arch to the tail end of your brow. Pull out spoolie from bottom of applicator, flip around and snap back into base. Brush through your brow to blend seamlessly. I made this purchase in the January of this year and it has almost lasted me an entire year. 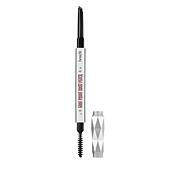 I am very impressed with this product, benefits products seem original on your Brows and not too overpowering. A must have for those who love makeup as much as myself. The Brow Powder I've Been Looking For!! I have bought a zillion brow products to try and make my spindly, thin aging brows look fuller. Most products don't work - lots of pencils are too waxy, the brow mascara's don't do much because I don't have enough brow hair. And many of the wax/powder products look clumpy and are often much too "warm" toned. 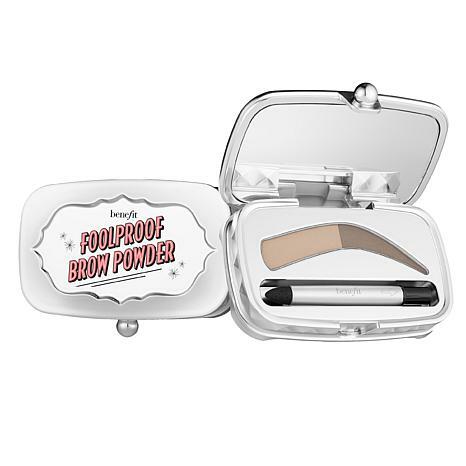 But this Benefit Brow Powder is great! It says on, provides some definition to my brow tails and looks very natural and not RED at all. Love it!! I have tried many brow powders but this is the best ever. I love that it has two shades. My brows have become skimpy as I've gotten older and this works perfectly for me. So easy to use and lasts all day. I highly recommend this to everyone! Ordered this brow shadow. Easy to apply. Adds depth and color. Happy with this purchase.